The storm has begun. Janna and Nate, an interracial couple living in the Lower 9th Ward, scratch and climb their way to the attic as the flood rises. Only one will survive, and only one will begin a journey through the New Orleans jungle in the aftermath of Hurricane Katrina. The melancholy SWAT officer, Darren, barely hangs on as he tries to maintain a thin thread of order in the Louisiana Superdome. Ronald, the greedy developer trapped in the French Quarter, is fixated on money and the woman in the black fur coat. They could not be more estranged, more different, and yet their lives are about to collide. 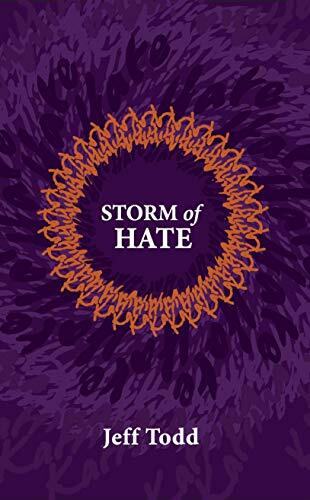 Through its pounding, gritty, shifting narrative, Storm of Hate considers the weight of the past, the horror of the present, and the undying hope for the future. It explores humanity's paradox—while meaning is shaped by others, we are all very much alone. Jeff Todd is a journalist with experience in Canada, the Bahamas, and the Middle East. He has published thousands of articles on a wide array of subjects and has traveled throughout Europe, North America, the Caribbean, Asia, and the Middle East. He currently lives in the Bahamas where he is completing his second novel and serving as the business editor of the Nassau Guardian.